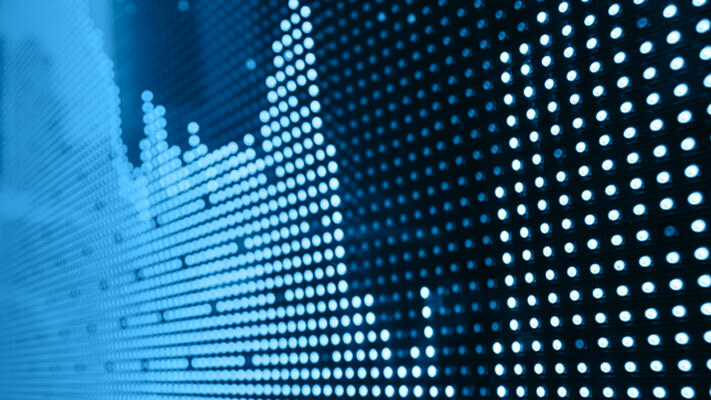 Compare simulated and MMSE conditional variance forecasts. Compare simulated and MMSE log conditional variance forecasts. This example shows how to simulate an EGARCH process. Simulation-based forecasts are compared to minimum mean square error (MMSE) forecasts, showing the bias in MMSE forecasting of EGARCH processes. Specify an EGARCH(1,1) process with constant κ=0.01, GARCH coefficient γ1=0.7, ARCH coefficient α1=0.3 and leverage coefficient ξ1=-0.1. 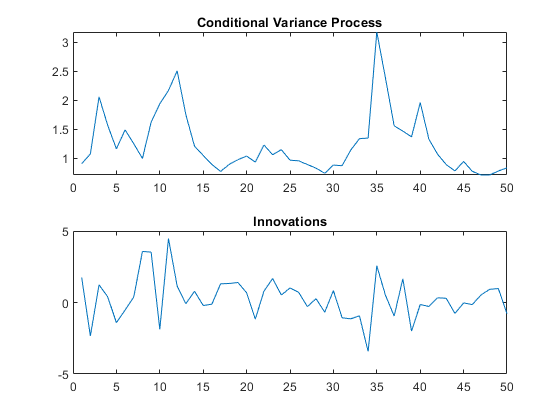 Description: "EGARCH(1,1) Conditional Variance Model (Gaussian Distribution)"
Simulate one realization of length 50 from the EGARCH conditional variance process and corresponding innovations. Using the generated conditional variances and innovations as presample data, simulate 5000 realizations of the EGARCH process for 50 future time steps. 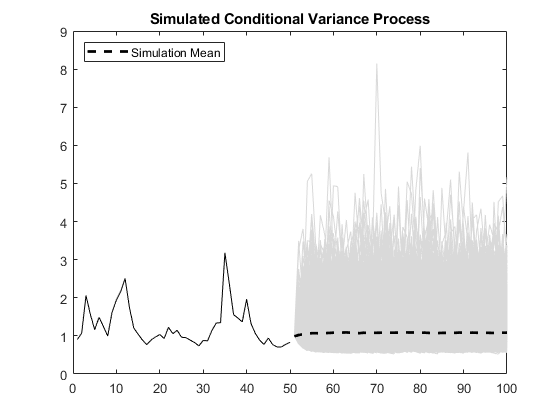 Plot the simulation mean of the forecasted conditional variance process. 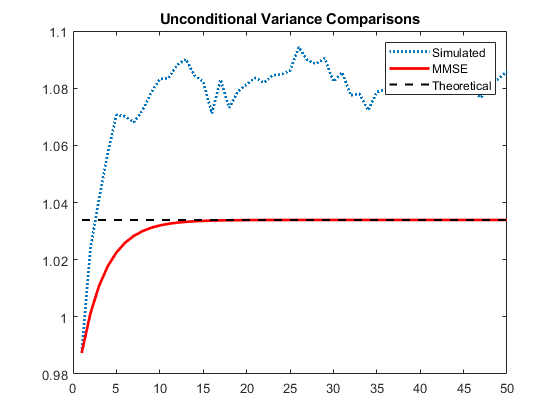 Compare the simulation mean variance, the MMSE variance forecast, and the exponentiated, theoretical unconditional log variance. 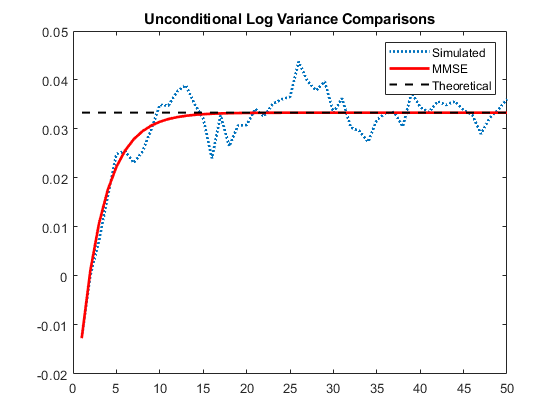 Compare the simulation mean log variance, the log MMSE variance forecast, and the theoretical, unconditional log variance. The MMSE forecast of the unconditional log variance is unbiased.